ASUU said, "it was unfortunate that a supposed leader could render a statement with warped logic. 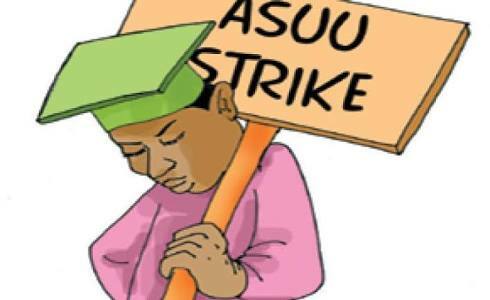 Akande had condemned the strike embarked upon by ASUU in Oke Ila Orangun where he went to commission one storey classroom donated to Abolarin college. He was reported to have said the union is destroying the country with demands that are not genuine." "However, his recent outburst against the ongoing patriotic struggle by ASUU to save public University education in Nigeria clearly exposed him that he is just an elder only by age but not a statesman. The same Bisi Akande who himself was a teacher during the free education programme of the late sage, Chief Obafemi Awolowo sacked teachers and left Osun state education in tatters now claims to value quality graduates while shying away from adequate investment in education. Omole said it is self-indicting for the leader of a party who is destroying public education with chronic underfunding of the existing institution and busy itself to mushrooming of new Universities without any funding plan. The budget for the current year was wickedly cut down to seven percent to demonstrate their hatred for public funded education. The ASUU boss said it was because of the likes of Akande who is interested in killing public education to allow for their children and grandchildren to dominate and oppress the children of the masses that they go on strike. “It is only in Nigeria that those who should not open their mouth to talk speak. 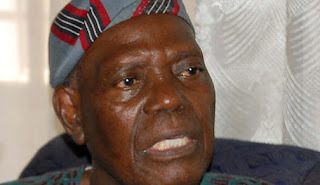 What can be more disappointing for a person of Chief Bisi Akande who should know better. "But as the Yoruba proverb says, a compromised mind cannot speak the truth. Akande should tell the country how many of his grandchildren attend public primary, secondary and university? He should tell Nigeria how much Ghana is voting for education and how much his party is putting into education? You cannot build something on nothing. If Akande wants full-baked graduates, he should tell his party and President Buhari to implement agreements government reached with the union and see if there will not be change. He should pay lecturers what they pay lecturers in South Africa”, ASUU said.